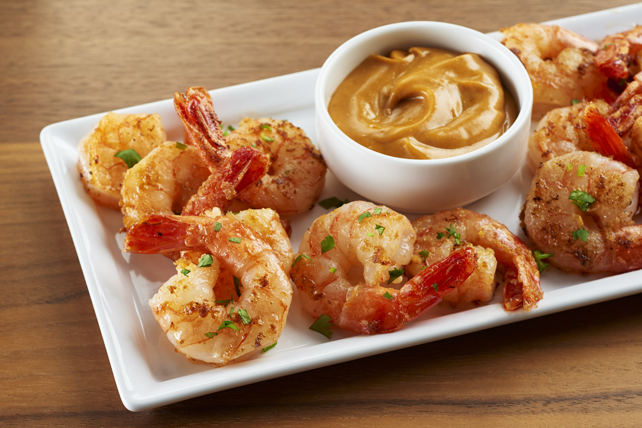 KRAFT Peanut Butter teams up with a few simple ingredients to make this quick-and-easy sauce that works double duty as an irresistible dipping sauce for cocktail shrimp or as a five-ingredient sauce for your favourite stir-fry. Cook all ingredients except shrimp in saucepan on low heat 2 min. or until heated through, stirring frequently. Pour 1/4 cup peanut sauce into large skillet. Add shrimp; cook 3 to 4 min. or just until shrimp are heated through, stirring frequently. For a change of pace, use this easy-to-make peanut sauce to prepare your favourite stir-fry.